The iPhone XS has a phenomenal dual-camera setup that’s able to take stunning pictures and even more jaw-dropping video. You can record footage in 4K resolution with this phone, which is something that many phones cannot do. That said, you might expect your videos to have a professional level of quality to them, but unfortunately, that’s not always the case, and is largely due to the poor precision that are hands have. We just aren’t capable of recording video with the same smooth transitions that you might find in the cinema. So if you’ve got the iPhone XS and are excited you can finally record in a high-end resolution, but want to get something to upgrade the professionalism of your video quality, you might want to consider picking up a video stabilizing gimbal. A gimbal uses electronic motors to keep your footage as smooth as can be. If you follow along below, we’ll show you the top options available to you in gimbals. Gudsen’s all-new MOZA Mini-S — first seen at CES 2019, is one of the best video stabilizing gimbals that you can use for your iPhone XS phone. If you want to get rid of shaky video, and bring that cinema-level quality to the iPhone XS, this gimbal will help you accomplish just that. It’s actually very versatile, working with most smartphones on the market today, all thanks to the adjustable clasp. It’s quite easy to setup, with it being as simple as setting the iPhone XS in the smartphone mount. You can connect it up over Bluetooth, which gives you access to the remote control that are built right onto the handle. The Snoppa Atom might be one of the more simply options out there, but it accomplishes much of the same goals that you’re after: smooth video on your iPhone XS. The iPhone XS already takes great video with its dual-sensor camera, but with the Snoppa Atom, you really smooth it out and create something that would be cinema worthy. Just like the MOZA Mini-S, it’s as simple as setting the phone in the Atom’s phone holder mount. Snoppa knows that the Atom is very much a device that needs to be portable, and therefore, it’s extremely light and easy to store in a backpack, briefcase, and even your pocket. It does operate over Bluetooth, but comes with a 24-hour battery. The DJI Osmo Pocket is up next on our countdown, and is actually one of the more unique choices — it’s able to work independent of your smartphone. Hook it up over a lightning cable or USB-C, and you can easily film using just the Osmo Pocket. It makes it easy to take with you on the go, and as the name implies, it can fit in your pocket. The Osmo Pocket has some great hardware inside, built to take photos and video with excellent quality. Photos come out gorgeous with the Osmo Pocket, but you can also use it to film in 4K resolution, and at a whopping 60 frames per second. Feiyu’s Vimble 2 is fourth up on our countdown, but is worth talking about as well. This one is user friendly, with it being as simple as setting your phone inside the mount. Once you do, and start filming, the Vimble 2 uses its electric stabilization motors to smooth your video out as you film. As you might imagine, like many of the other gimbals out there, you connect up your iPhone XS up to the Feiyu Vimble 2 over Bluetooth, which means the Vimble 2 does have its own battery that you’ll have to monitor. There are a handful of functions right on the handle, which you can use for starting and stopping video, snapping photos, and even zooming. You can even extend this gimbal out to help you get a larger field of view. The DJI Osmo Mobile 2 is considered the creme of the crop when it comes to video stabilizing gimbals. DJI has packed its industry leading camera stabilization technology in the Osmo Mobile 2, which means that you’re going to get the smooth video transitions that you would find in the cinema, but in your own home-recorded videos! Set your iPhone XS in the Osmo Mobile 2, follow the instructions to activate the stabilization technology, connect to Bluetooth, and start recording professional video like you’ve never seen before. 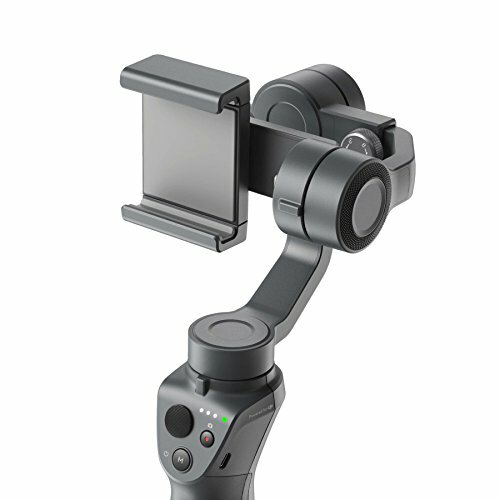 Since the Osmo Mobile 2 does connect up to your smartphone over Bluetooth, this does mean that the gimbal does have its own battery. As such, you’ll have to make sure it’s charged up and ready to go for when you’re planning on recording. 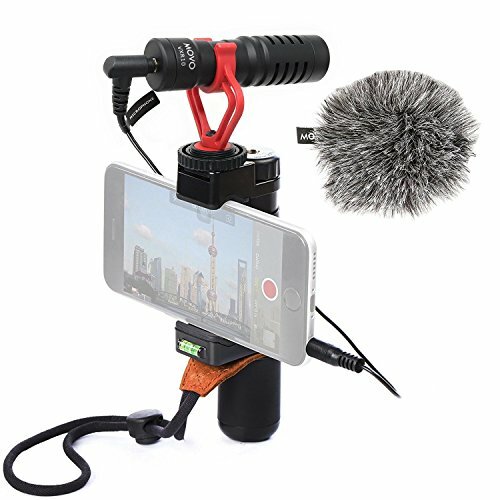 Very few people can argue with the prowess of the DJI Osmo Mobile 2, but not many folks have that sort of money to spend on something like this. 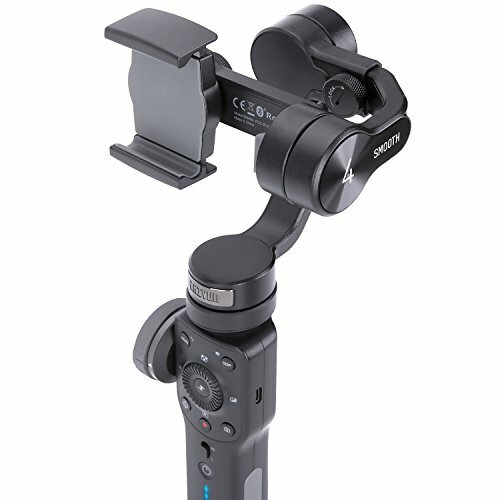 That said, those might want to consider the Zhiyun Handheld Gimbal. 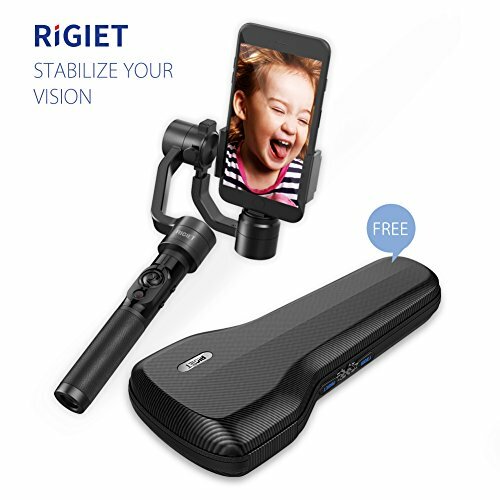 This one has a couple less features as the Osmo Mobile 2, and it is a little more difficult to get the stabilization just right, but it is cheaper. Small electric brushless motors work to keep your footage smooth, and there are shortcuts right on the handle for start and stop recording, zoom, and shutter. This connects up to your iPhone XS over Bluetooth, so similar to the Osmo Mobile 2, it does have its own battery that you’ll have to monitor. Next on our list is the DOBOT Rigiet. This is one of the best video stabilizing gimbals that you can get today. You get access to all sorts of feature shortcuts right on the handle, including start and stop video recording, shutter, auto tracking, live streaming, slow motion, panorama, time lapse, and more. To use this gimnbal, you have to connect your phone up to it over Bluetooth. As you might expect, this gimbal has its own independent battery, which means that you’ll have to make sure it’s charged up before you take it out on a recording session. While you do have to worry about the battery, it’s well worth it to avoid the hassle of using cables and such. 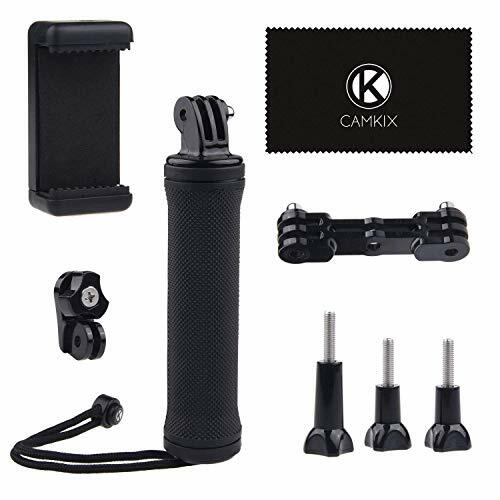 If you don’t need a bunch of fancy features on your video stabilizing gimbal, then you might want to see what the CamKix Stabilizing Hand Grip has to offer. Put your iPhone XS in the phone clasp and you should be able to get some pretty smooth footage. However, there are no shortcuts on the handle, so any special functions you want to start have to be accessed from the Camera app. 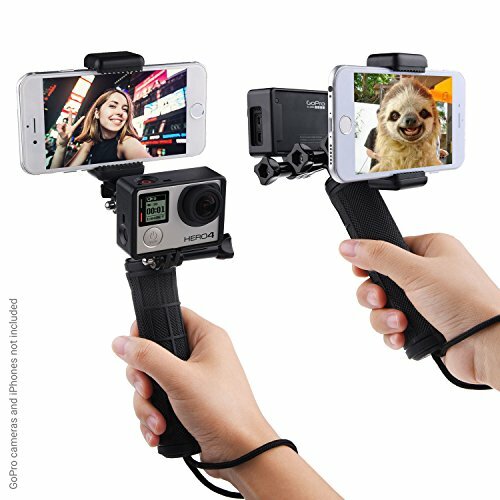 Now, what the CamKix does that is unique is allow you to record video from two different angles — set your iPhone XS in the phone mount and a GoPro or other in the camera mount to record from multiple angles. The Movo Smartphone Video Rig might be last up on our list, but this is one of our favorite options for smoothing out your smartphone-recorded footage. Set your iPhone XS in this all-in-one mount and it will work to keep your video smooth. But, on top of that, it has an external microphone that you can plug into the iPhone XS to improve your audio quality. So on top of getting smooth cinema-level video, viewers should be able to hear you loud and clear as well. What we’ve listed are easily the best as far as video stabilizing gimbals go. We’ve shown you a range of options from budget-level to high-end. 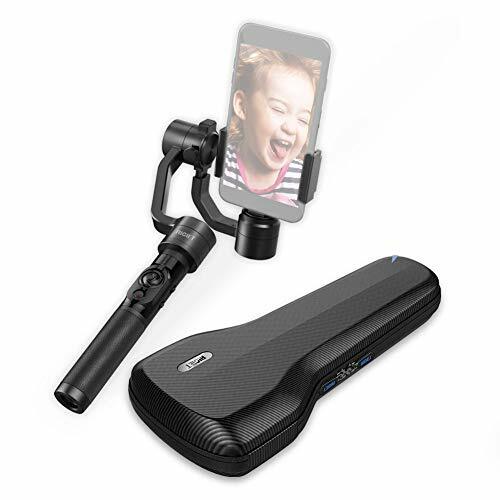 But, if you want to make sure that you’re getting the best of the best, you cannot go wrong with the DJI Osmo Mobile 2.